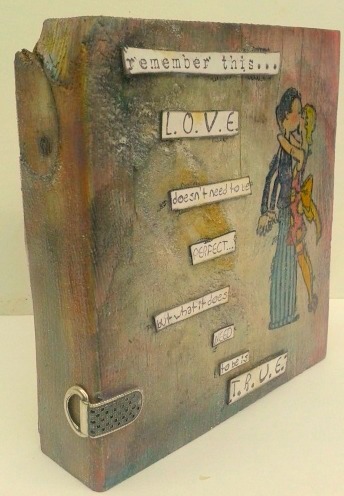 Eclectic Paperie: Love doesn`t need to be perfect with Wendy Vecchi Stamps . 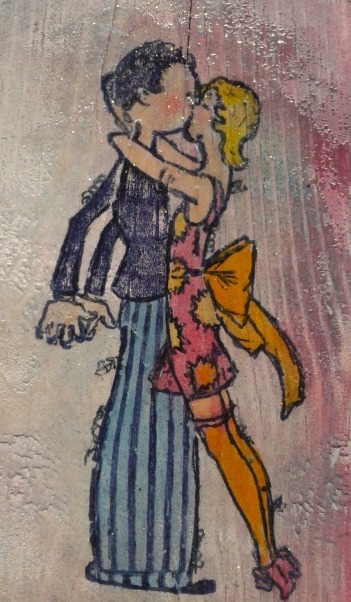 . .
Love doesn`t need to be perfect with Wendy Vecchi Stamps . . .
DEEELISH set of stamps by Wendy Vecchi Studio 490 . . .
. . . aren`t they the most swoon worthy stamps you have ever seen . . .I looove them!! I have sooo many ideas popping out my head from wedding invites, save the date . . . I could go on and on and on . . . But I better get on with my post for now,lol! before getting out my Pan Pastels to add a little touch of color. Don`t be scared to get messy with Pan Pastels, if something doesn`t look right just keep on adding until your happy with the effect . . . I know I`m getting it when I get a tingle in my tummy,lol! Time to ink up the stamp with an Archival ink pad and get stamping. Have I mentioned how much I love this stamp . 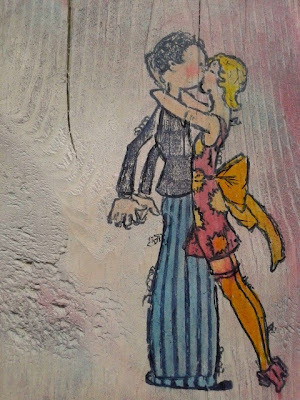 . .
Tim Holtz Distress Stains along with watercolor paints and Pan Pastels before adding a little doodling along the way. I do like to doodle doodle doo . . . 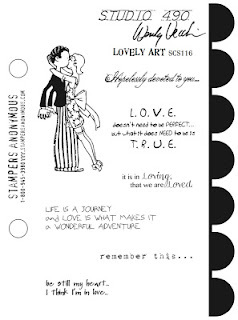 I stamped out two of the sentiments from the stamp set, snipped it up and fixed in place. Okay here is a wee look into my madness . 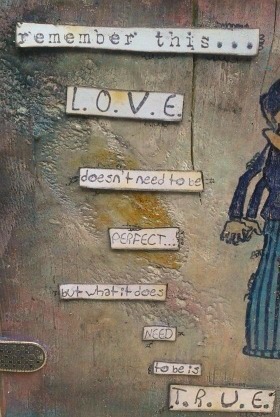 . .
LOVE doesn`t need to be perfect . . .
picked the chunk of wood itself . . . oh yes it did, how? 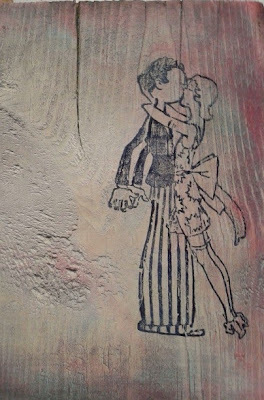 Well like love, creating doesn`t have to be perfect and if you look at the wood you will see it`s all rough and it has a big old crack running down the middle and then my tummy got that tingle and that was that!!! A quick sprinkle with clear embossing powder . . .
. . . and a little metal buckle I found down in the deep dark depths of long forgotten stash and I was done. All that`s left to say is . 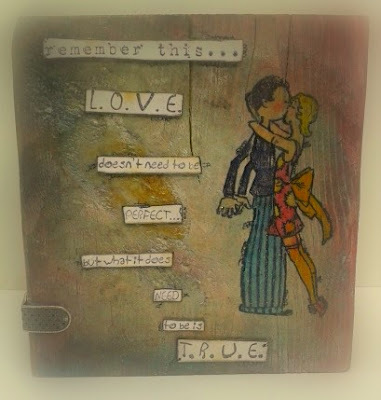 . .
What a wonderful piece Tracy with a fantastic sentiment! Rarer than that's for sure! What fabulous art you create with your wood! what a cute couple! this is so fun! nice job! So sweet, Tracy! 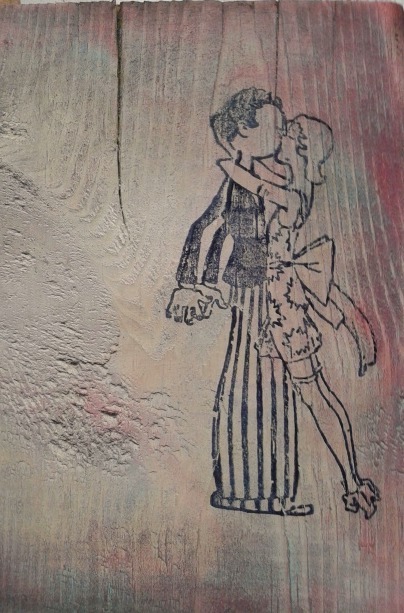 I love this, especially on the wood! I love your hunk of wood, it adds such gorgeous texture... and the colours and the stamp look fab on it! Oh Tracy, this is SO cool! LOVE the wood, and that image is awesome! The whole thing is soft and beautiful! 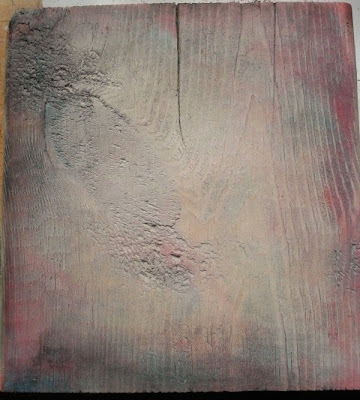 I love how this looks on the wood. Awesome and love that stamp set :-).